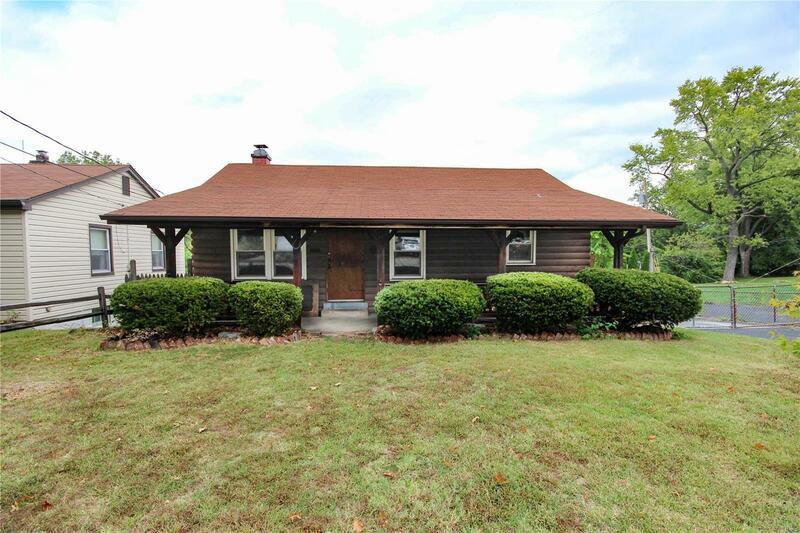 Looking for the feel of a log cabin but with all your amenities close by? This bungalow in Affton could be just right for you! A large covered porch leads to the living room and dining room with a beamed ceiling, wood paneling, and gleaming hardwoods that run throughout the main floor. The kitchen has rustic cabinets and plenty of counter space. Two bedrooms, one with a vaulted ceiling, and a bathroom complete the space. The finished lower level has a sleeping area, family room with a cozy woodburning stove that can heat the whole home, and a second full bathroom, plus a walk out to the large patio and a double-wide parking pad. Enjoy the weather on the sturdy, expansive 20x20' deck overlooking the fenced backyard. In a great location, within walking distance to Mathilda Welmering Park, and moments from all of the shopping and restaurants Affton has to offer, this home is one you won't want to miss!